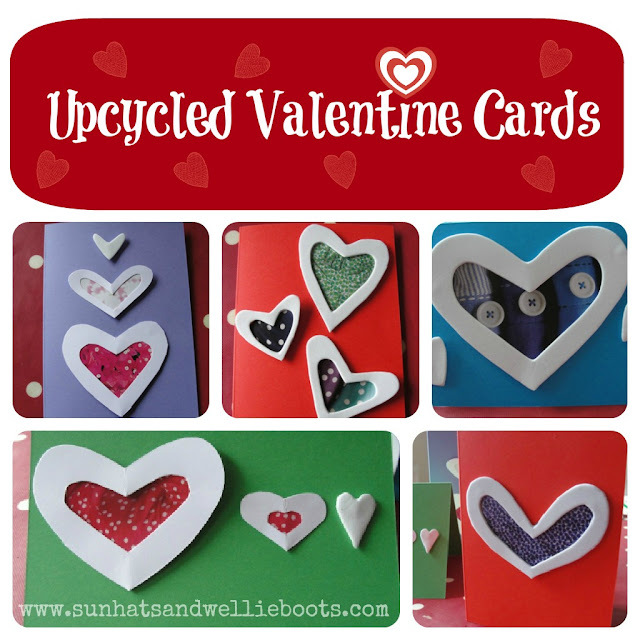 Thinking ahead to Valentine’s Day we thought we’d have fun with some heart shapes & do some recycling along the way. 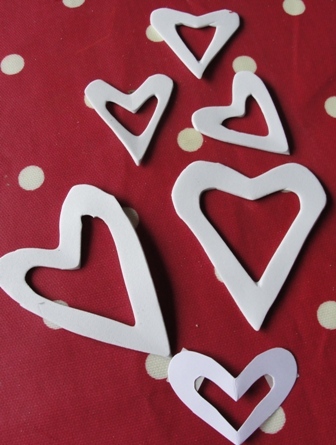 I found some white card & cut out a selection of heart shapes, & then cut another smaller one from the centre to create a heart frame. Minnie loves flicking through old magazines, catalogues, brochures & cutting out the things that catch her eye. 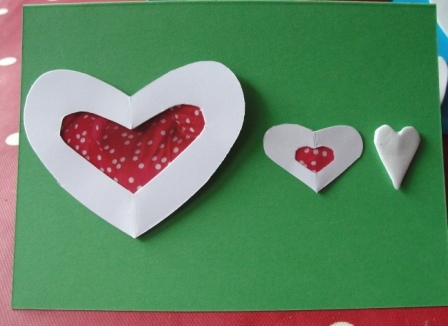 She often makes collages with these cutouts, but for this activity we used them for something new. 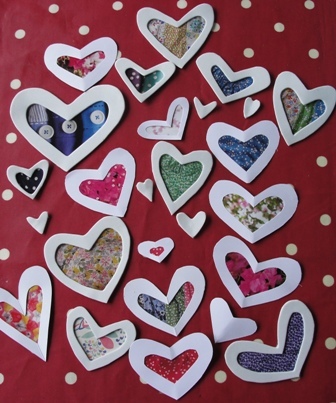 Minnie started by flicking through a Boden catalogue & cut out the patterns she liked. 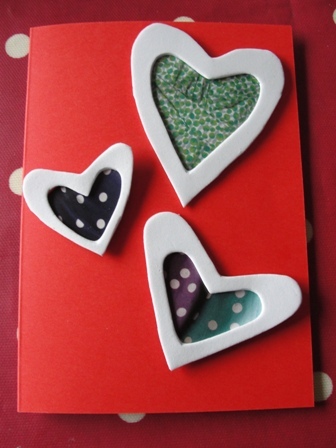 We glued the white heart frames over her chosen pattern & then carefully trimmed away the excess paper to create a beautiful patterned heart. We made several of these (as you can see!) 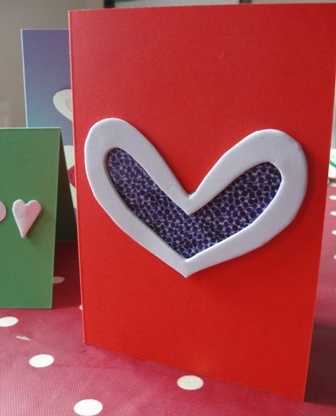 & then set to work adding them to cards ready for Valentine’s Day!